Few situations have the power to disturb your peace of mind quite like finding out that your locks are no longer performing their task to full capacity. Whether you have suffered a break-in or the locking mechanism is simply outdated, it is critical to take appropriate measures in order to restore the safety and security of your home or business as well as its occupants. This is where Milwaukee Lockstar comes in – a dedicated provider of lock replacement in Milwaukee, WI, and surrounding areas. When to Replace a Lock? 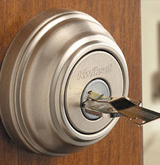 Broken locks – Save the time and money spent on repairs that offer no guarantee of success. Property invasions – Protect your family, coworkers, belongings, and/or personal information. New home builds – The construction company typically has a master key for all its doors. Move-ins – Who can predict how many keys the previous owners gave away? Evictions – As a landlord, you need a simple way to keep unwanted tenants out. How to Choose the Right Lock? Grade 1 – The highest security for any residential or commercial property. Grade 2 – Higher residential security or light commercial applications. Grade 3 – Basic residential security with minimal quality standards. How Long Does It Take to Replace a Lock? With the right equipment, most locks can be replaced in under 15 minutes after we arrive. While the job is doable for the average DIY enthusiast, it is recommended to let a professional do the job for maximum security – regardless of your chosen ANSI grade lock. How Much Does Lock Replacement Cost? Lock replacement costs range anywhere from $100 to $250, depending on your location, extent of the work, the brand of the lock mechanism, and a variety of other individual factors. Your locksmith will be able to provide a more accurate price quote once they assess your unique situation. How to Choose a Locksmith for Lock Replacement? Choosing the right locksmith requires considerable thought, as the success of your lock replacement depends on their expertise and workmanship. 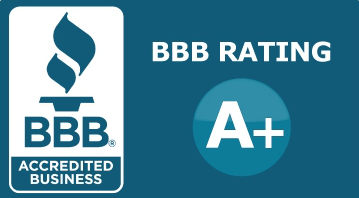 When you hire Milwaukee Lockstar, you are hiring a locally owned company operated by trained and experienced technicians. Each member of our team is equipped with the latest technology and a commitment to provide customers with the personalized care and attention that you deserve. Eliminate 99% of security risks by requesting our professional lock replacement for your Milwaukee home or business today! Whether it be an emergency or a routine lock upgrade, simply dial 414-939-8811 or complete our convenient online form, and we will be happy to address your concerns in a quick and efficient manner.